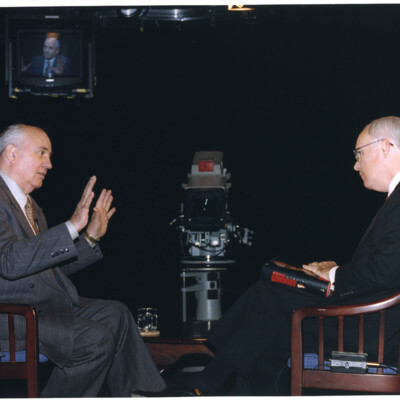 Mikhail Gorbochev and Brian Lamb. · One Book. One Author. One Hour. 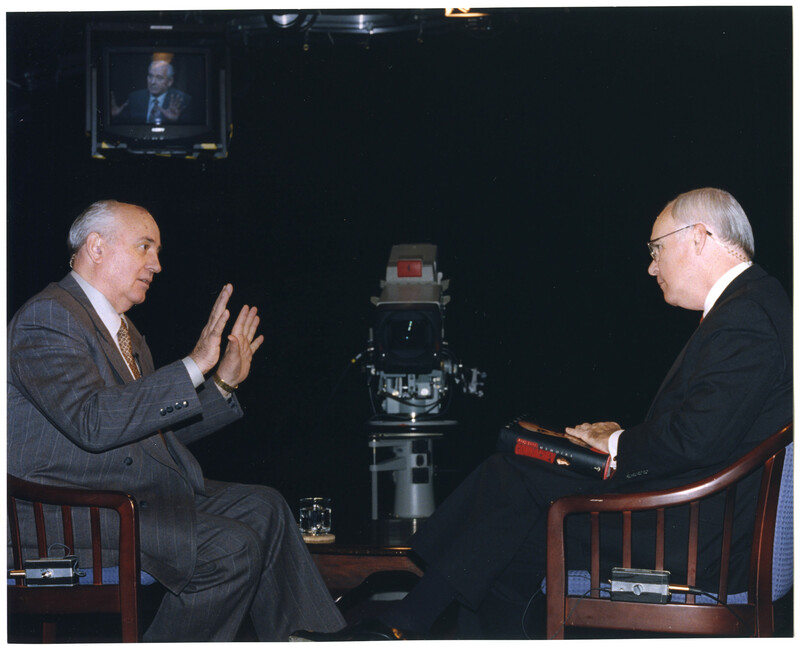 Mikhail Gorbochev and Brian Lamb. unknown, “Mikhail Gorbochev and Brian Lamb.,” One Book. One Author. One Hour., accessed April 24, 2019, http://booknotes.gmu.edu/items/show/2920. Former Soviet leader Mikhail Gorbachev explaining something to Brian Lamb minutes before they started taping their "Booknotes" interview. Gorbachev spoke only Russian, but Brian had a simultaneous translation coming into his earpiece.